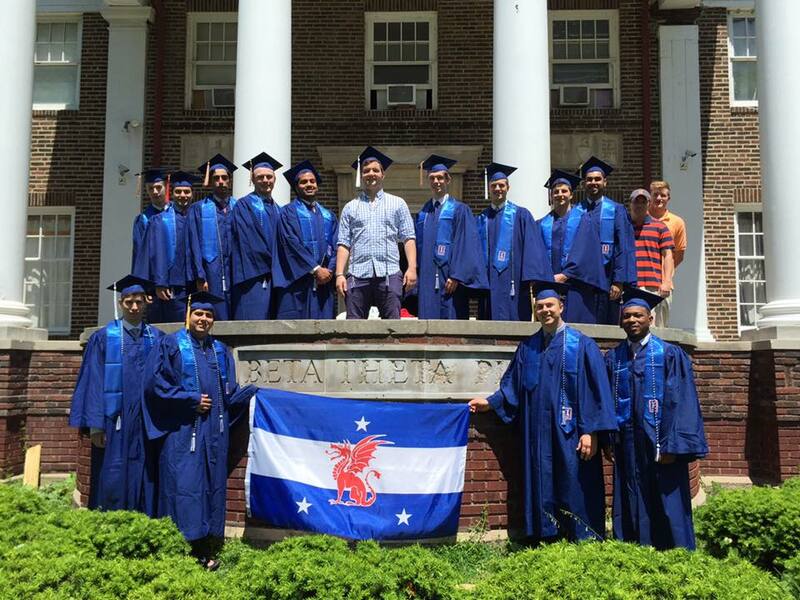 Our chapter said goodbye to our seniors, many of whom helped recolonize Beta Theta Pi at Illinois back in the fall of 2013. We also held two successful fundraisers that raised over 6,000 dollars in support of the Andrew Weishar Foundation. Many of our members attended various leadership academies offered by the General Fraternity and we are very excited to attend the 177th General Convention in August. 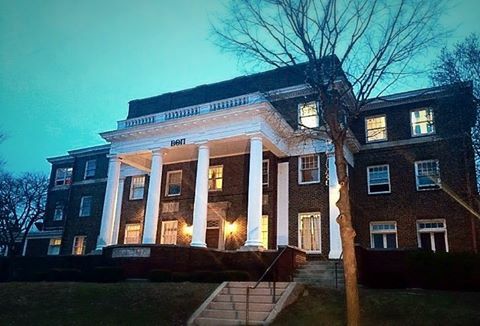 where we will be petitioning to receive our charter as an official chapter of Beta Theta Pi. Congratulations to the Sigma Rho Class of 2016! Our chapter is incredibly proud of the Class of 2016 for everything they accomplished in their time as Betas at the University of Illinois. The graduating class contains many Refounding Fathers, who hold a special place in Sigma Rho history as the individuals who brought our chapter back to the University of Illinois. Our graduates leave 202 E Daniel to begin careers at companies like Bain Capital and Mckinsey Consulting, continue their education at some of the top graduate schools in the nation, and continue to give their support to the active chapter wherever it is needed. The Sigma Rho Class of 2019 initiated on January 19th, 2016. 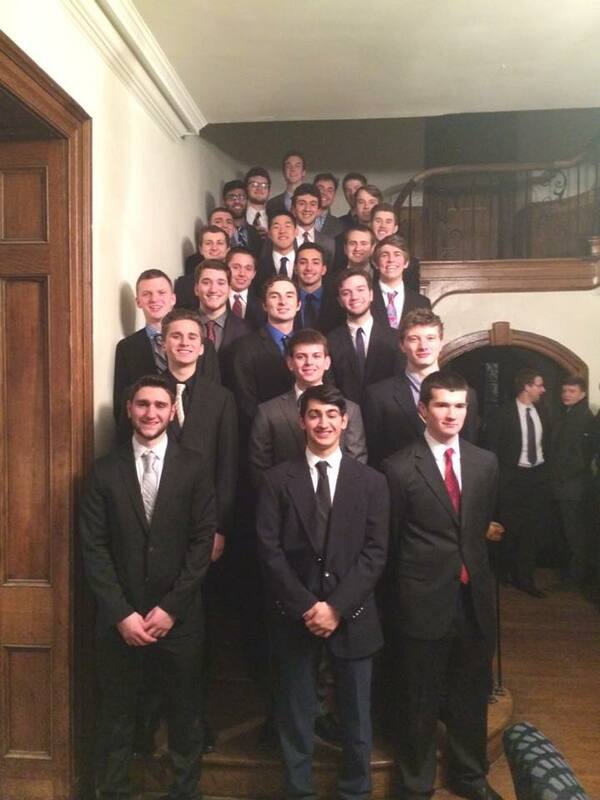 On January 19, 2016 we welcomed 27 new brothers into our chapter. The ceremony was a memorable time for all and was attended by the active chapter as well as alumni. 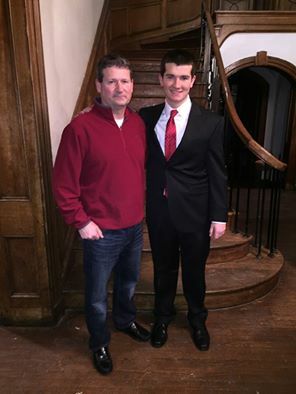 Brendan Black '19 and his father, also a Sigma Rho, Mark Black '89 pose for a picture after the initiation ceremony. Many of our members had the opportunity to attend the Wooden Institute and Keystone Conference. At these events we learned more about what it means to be a Beta and gained valuable, hands on leadership experience. 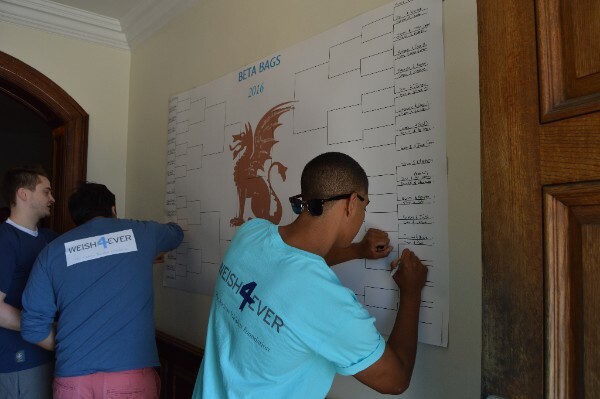 On April 18th, we held our annual Beta Bags tournament in support of the Andrew Weishar Foundation. The foundation supports families with children battling cancer. In conjunction with our Pie Eating Contest that we held with Kappa Alpha Theta, we were able to raise over 6,000 dollars for the Weishar Foundation. 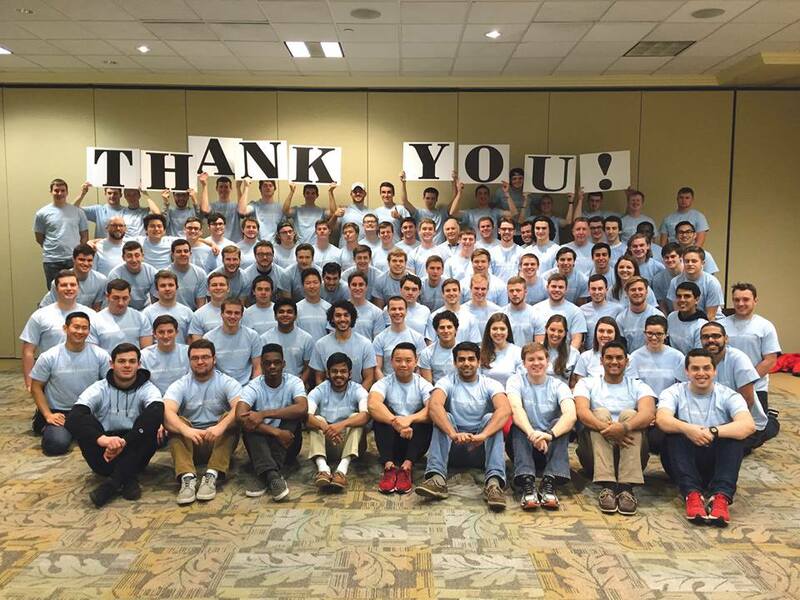 That's a thousand more dollars than we raised last year and we would like to thank our VP of Programming Travis Kittell '18 and Philanthropy Chairs Bill Hilger '16 and Jason Ho '18 for all their hard work organizing these awesome events. In addition to supporting the Weishar foundation, we also spent many hours volunteering in the Champaign-Urbana community. 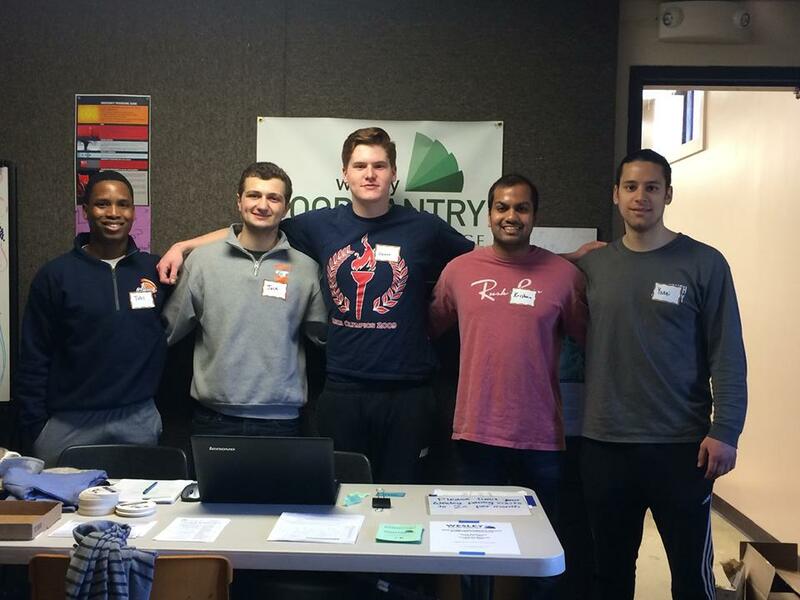 We partnered with the Wesley Food Pantry to help provide resources to families in need. 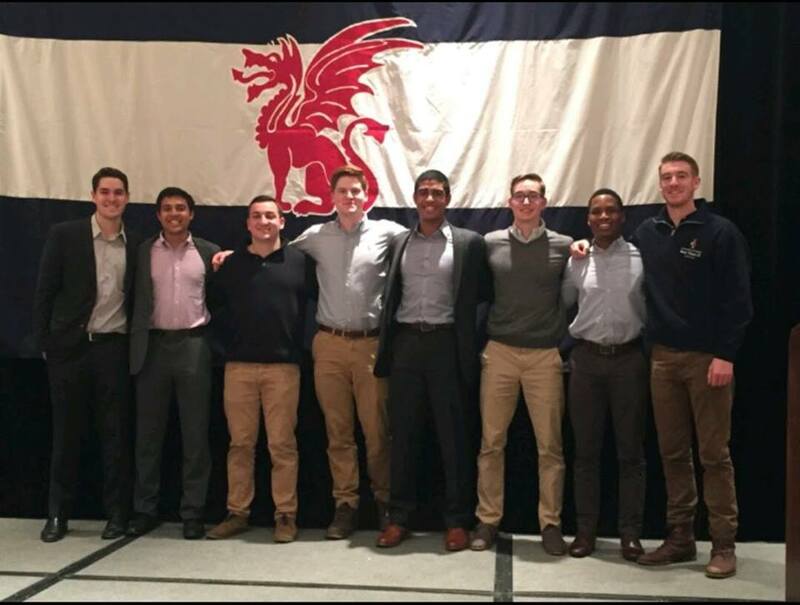 Pictured (Left to Right): Tobi Ijose '18, Jack Geocaris '19, Aaron Reinsbach '17, Krishna Somayajulya '16, and Yannis Zigras '16. 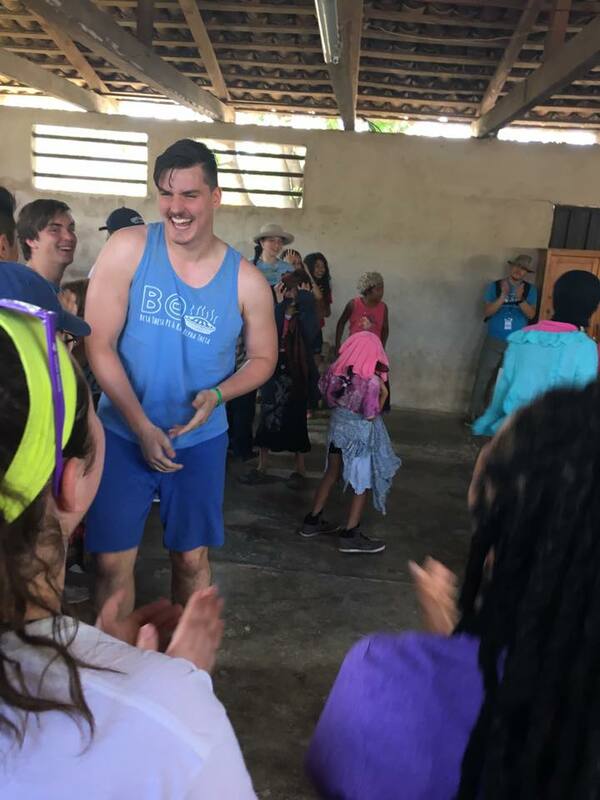 Further demonstrating Sigma Rho's commitment to service, Ryan Walton '18 spent part of the summer volunteering in impoverished communities in Honduras. He is a member of Global Medical Brigades and provides medical and dental assistance to those in need. Ryan will be spending the next school year leading an initiative to nutrition programs into the areas. Great job Ryan! As our report from the Spring semester comes to an end, we would like to take a moment to honor a fallen alumni. 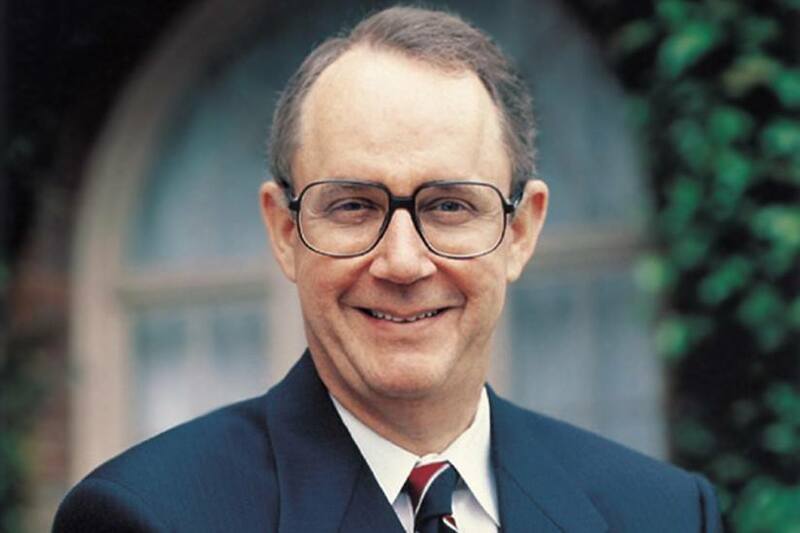 Steven Sample '62 passed away on March 29 at the age of 75. Mr. Sample earned three degrees at the University of Illinois: B.S., M.S., and a Ph.D. Electrical Engineering. He went on to become the president of the University of Southern California. Mr. Sample was an innovator in engineering and a visionary in education. We honor his life and hold his family in our thoughts and prayers. Copyright © 2016 Sigma Rho Chapter of Beta Theta Pi All rights reserved.